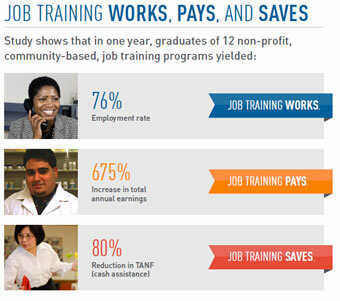 Job Training: Works, Pays and Saves! At an event at the State House, SkillWorks and the Job Training Alliance (JTA) released their impact report on quality job training programs: “Job Training: Works, Pays and Saves.” This report, supported by SkillWorks, contains extremely compelling data proving the significant return on investment on quality job training programs for the participants served, taxpayers, and the economy as a whole. Speakers at report's launch event included: Senator Ken Donnelly, Representative John Scibak, Ron Walker, Secretary of Labor and Workforce Development, Carmine Guarino, Senior VP of Citizens Bank, Jeff McCue, Commissioner of the Department of Transitional Assistance, John Barros, Chief of Economic Development for the City of Boston, and SkillWork's Trinh Nguyen. 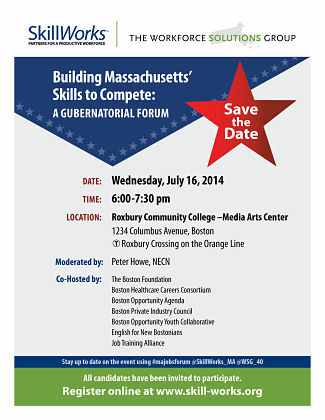 Each speaker expressed steadfast support of and commitment to quality community based job training and workforce development programs and more broadly commitment to improving the lives of low-income Bostonians and Massachusetts residents and to ensuring that employers have an accessible pipeline of skilled talent. In a packed space at the Federal Reserve Bank of Boson on Friday, January 22nd, members from the business, workforce, education, nonprofit, and government sectors came together to celebrate the launch of the The Alliance for Vocational and Technical Education (AVTE) and to highlight the importance of the Career/Vocational Technical Education system in Massachusetts. The AVTE outlined how CVTE is essential to economic development across the state, and presented key policy recommendations. 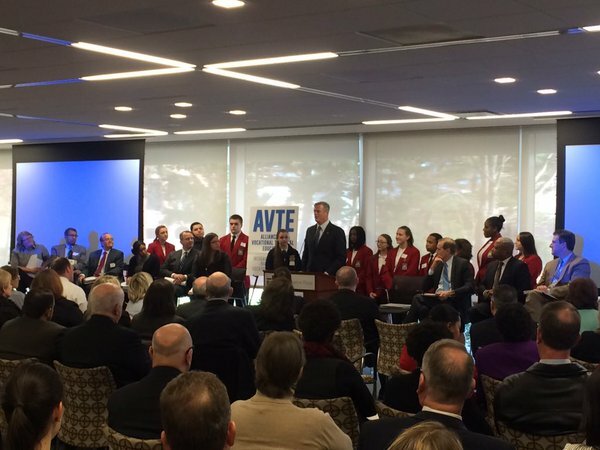 Governor Baker and his Workforce Skills Cabinet joined us and shared their support for the Alliance and CVTE across the state. The program also included highlights of a report commissioned by AVTE that examines public perceptions of CVTE, presented by Barry Bluestone, Director of the Dukakis Center for Urban and Regional Policy at Northeastern University. Click here to read the full report. To learn more about the Alliance for Vocational Technical Education and their policy recommendations, check out their new website and one-pager! Featuring: Mayor Martin J. Walsh, Boston Foundation President and CEO Paul S. Grogan, and Head of Corporate Responsitiblity for JPMorgan Chase & Co. Peter Scher. 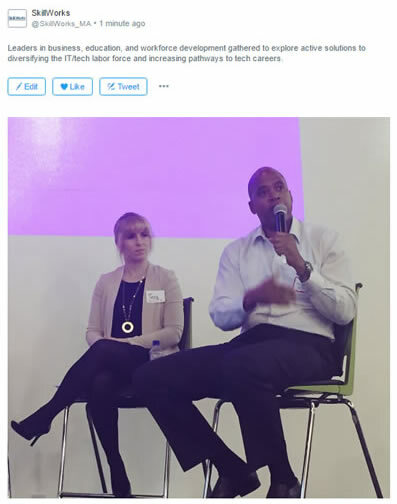 SkillWorks took part in the planning process and proudly sponsored this year's 6th Annual MA Jobs and Workforce Summit:The Future of Work, hosted by theWorkforce Solutions Group, which took place on October 14th. We heard inspiring calls to action from the Senate President, three state agency Secretaries, three college Presidents, the Attorney General, numerous business leaders, and varied labor and workforce leaders. We heard about the impact of automation on the workplace, the challenges of the gig economy, and best practices for youth employment programs. Find more information and highlights in WSG's most recent newsletter and check out SkillWorks' Facebook page for some pictures of the day's events! Video of the event can be found HERE and photos can be found on our Facebook page!